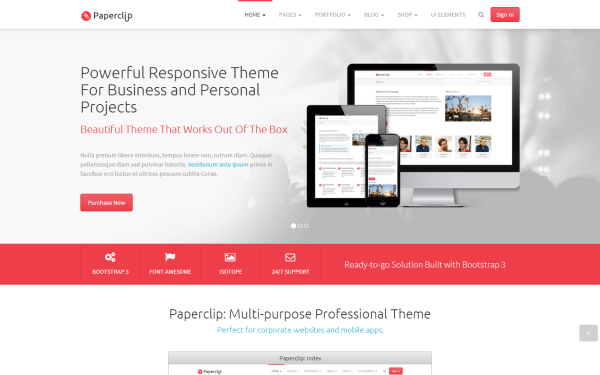 Paperclip - Responsive Professional Theme for Business Projects and Mobile Apps. Item Reviewed: Paperclip - Professional Business Theme 9 out of 10 based on 10 ratings. 9 user reviews.